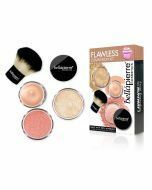 Featuring four complexion superheroes, Face Slay is your new BFF for sculpting and setting your face. The innovative Contour & Highlight Duo stick lets you easily create a chiseled look with a contour stick on one end and light-catching highlighter on the other. It has a cream-based formula which glides on effortlessly and blends like a dream using the included mini Bella Blender sponge. HD Finishing Powder expertly sets your makeup whether used for baking under the eyes or dusted all over the face for a smooth, matte finish. A few spritzes with the HD Setting Spray and your makeup is locked in placed so you can stay flawless for hours on end! Mica, Magnesium Stearate, Phenoxyethanol, Tocopheryl Acetate, Ethyhexyl Glycerine, Titanium Dioxide, Dimethicone. May contain: Iron Oxides (CI 77491, CI 77492, CI 77499), Mica (CI 77019). Water, Propylene Glycol, Aloe Barbadensis Leaf Extract, Phenoxyethanol, Acrylate Copolymer, Hydroxyacetophenone, Niacinamide, Panthenol, PEG-26-Buteth-26, PEG-40 Hydrogenated Castor Oil, Sodium Benzoate, Citric Acid, Potassium Sorbate, Sodium Sulfide, Fragrance-Hexyl Cinnamal. Using the highlighting end of the stick, glide along the high points of the face including cheek bones, brow bone, Cupid’s bow, and bridge of nose. Using the contouring end of the stick, glide along top of forehead, in the hollows of cheeks, sides of nose, and jawline. Blend both shades using the included mini Bella Blender. Dampen the mini Bella Blender sponge and squeeze out excess water prior to use. 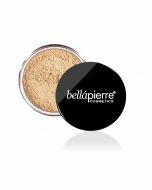 Bella Blender is ideal for blending highlighter and contour, and setting the face with the HD Finishing Powder. After all face makeup is applied, set your face with the HD Finishing Powder. 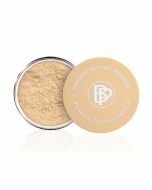 Using a dampened Bella Blender, smooth a thin layer of HD Finishing Powder under the eyes in a wide triangle. Then, expertly carve out your blended cheek contour by applying HD Finishing Powder directly underneath the hollows of your cheeks in a diagonal line (going from the bottom of your ear to the corner of your mouth). Wait a few minutes, then dust off the excess powder with a fluffy makeup brush. 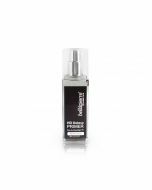 As the final step in your makeup routine, shake well and hold HD Setting Spray approximately 12 inches from your face. Mist 2-4 times in “X” and “T” motions.